Thảo luận trong 'IOS' bắt đầu bởi namnhatrang, 27/9/17. You can now download iOS 11.0.1 final version IPSW links for compatible iPhone, iPad and iPod touch devices. Here are the details. 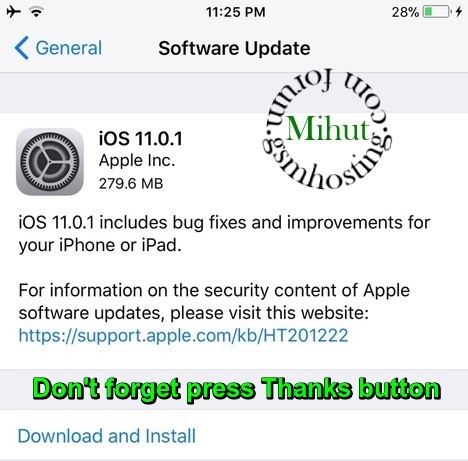 Manual You Can Update your IOS 11.0.1 Without PC. 7, click on "download and install"